In addition to the piano works, I have played lots of chamber music of Brahms. I have also held lecture concerts and given multi-media presentations about the music of Brahms. 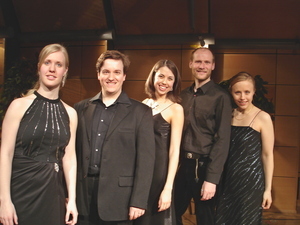 The lecture concert about the Brahms vocal quartets can be seen here (requires RealPlayer).